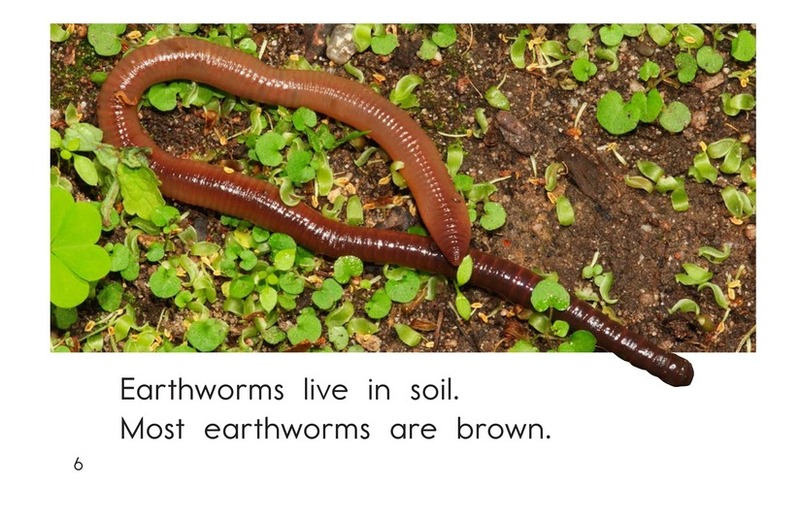 Earthworms come in many sizes and colors. 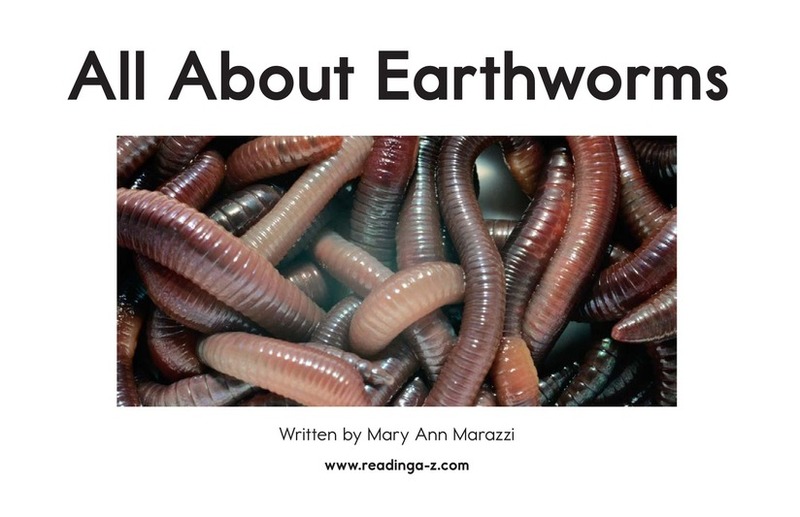 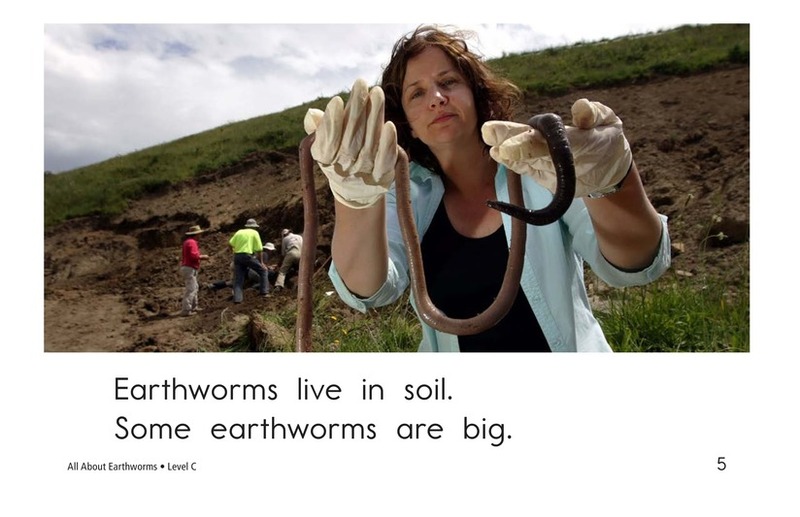 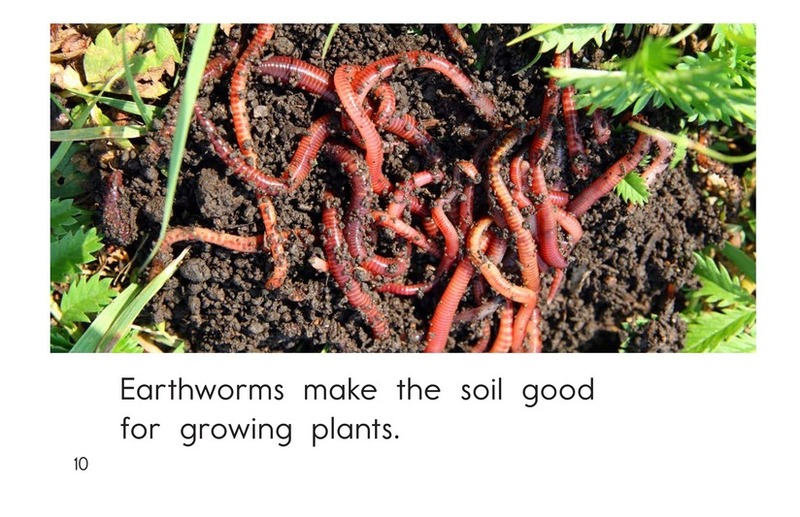 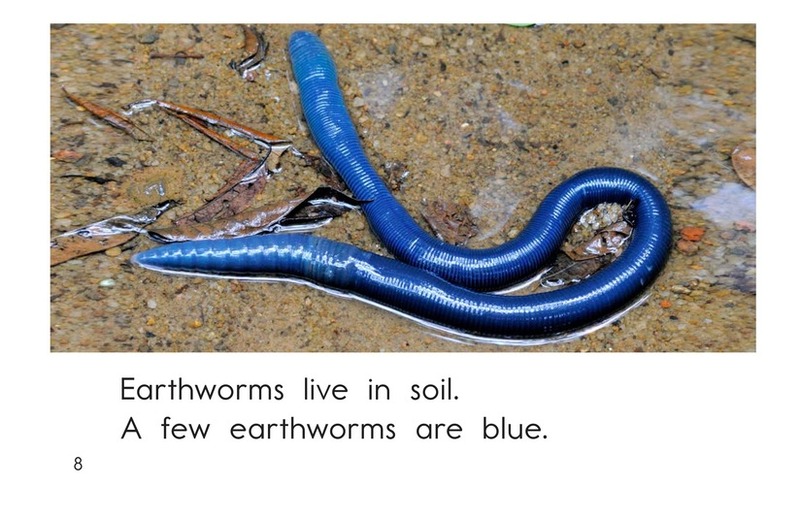 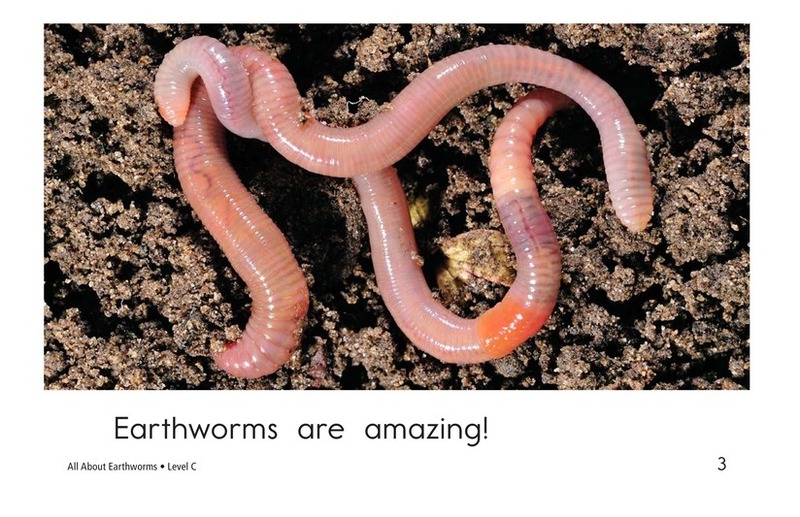 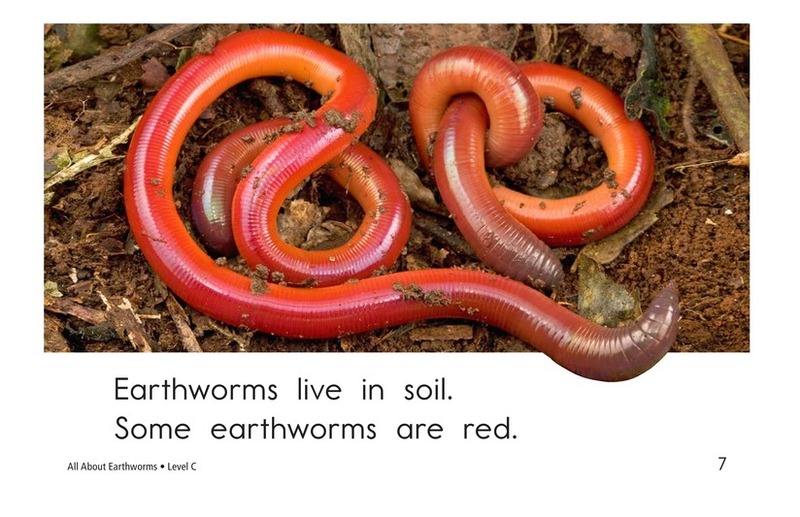 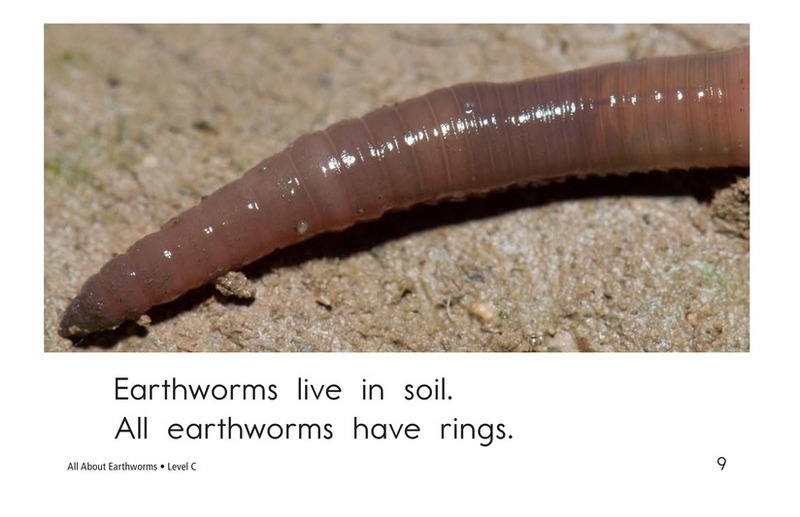 In All About Earthworms, students will learn about these useful creatures. 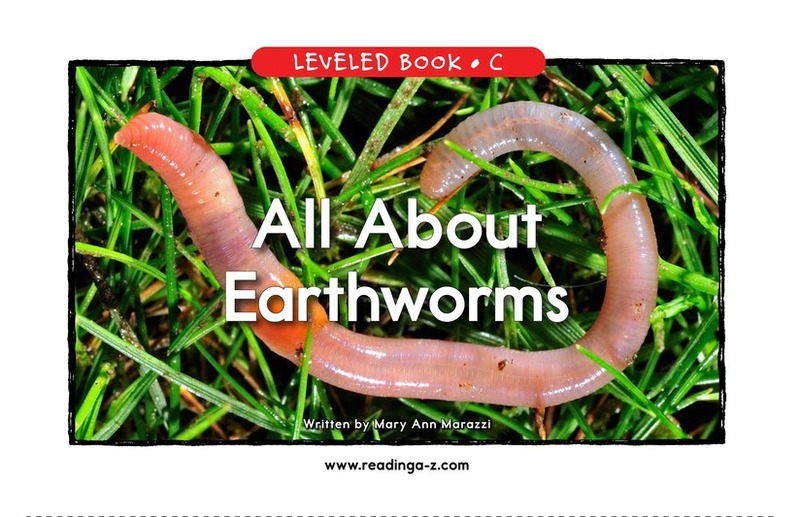 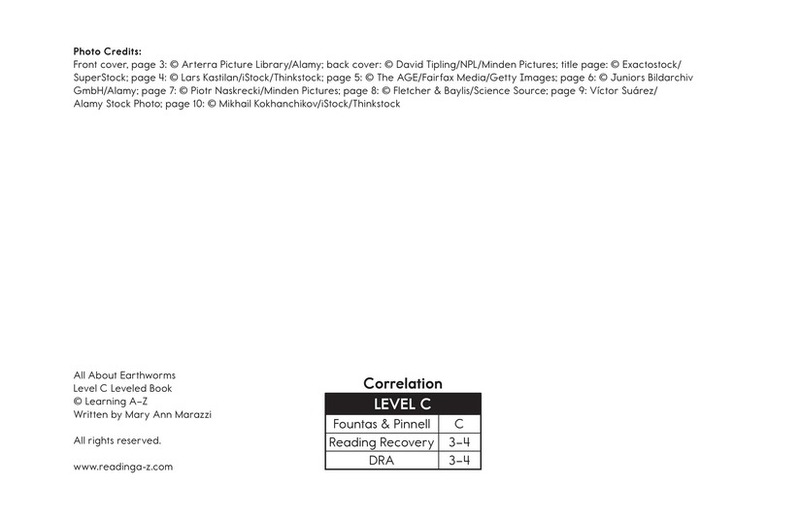 Detailed, supportive photographs; high-frequency words; and repetitive phrases support readers. 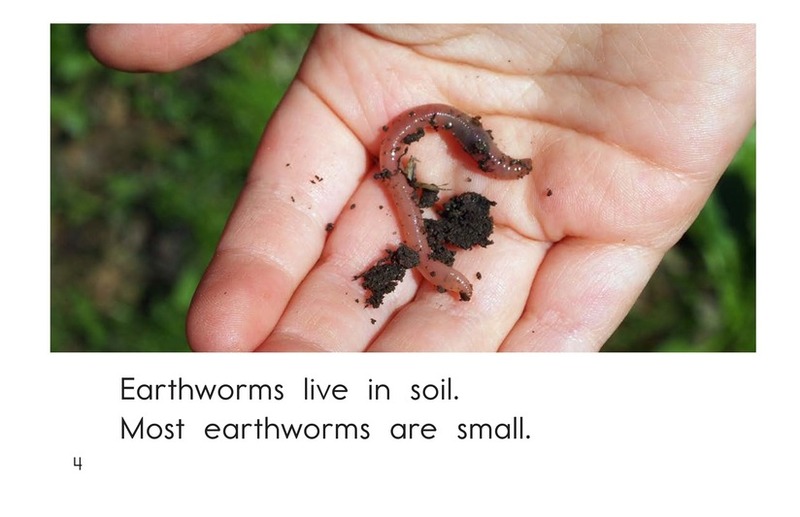 Students will have the opportunity to identify the main idea and supporting details and to connect to prior knowledge.